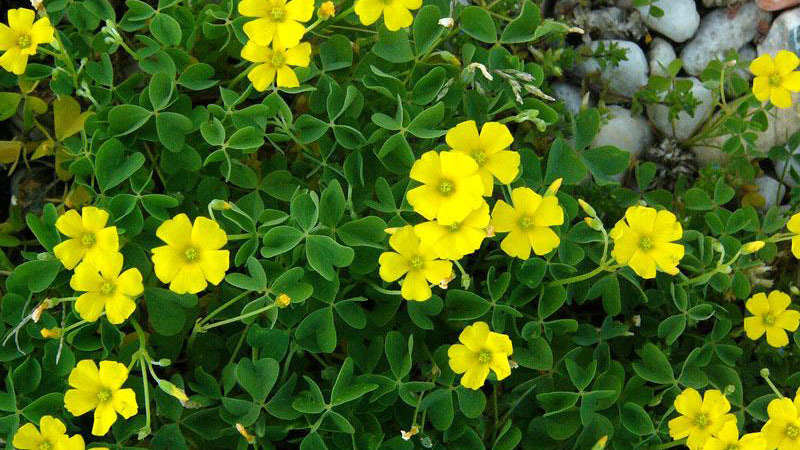 Yellow woodsorrel is an herbaceous perennial common in greenhouse and turf situations. 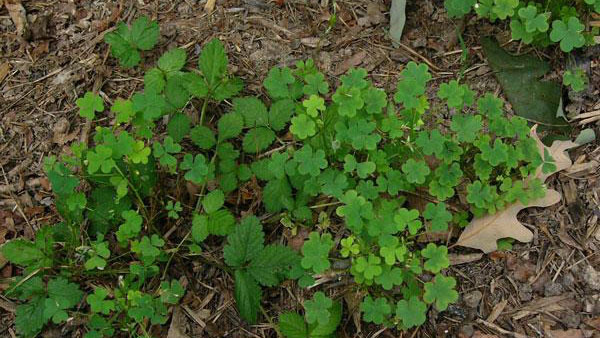 It is most recognizable due to the heart-shaped leaflets that are found three to a leaf. The plant has a shallow taproot, and hairy stems that are 4 to 10 inches tall. 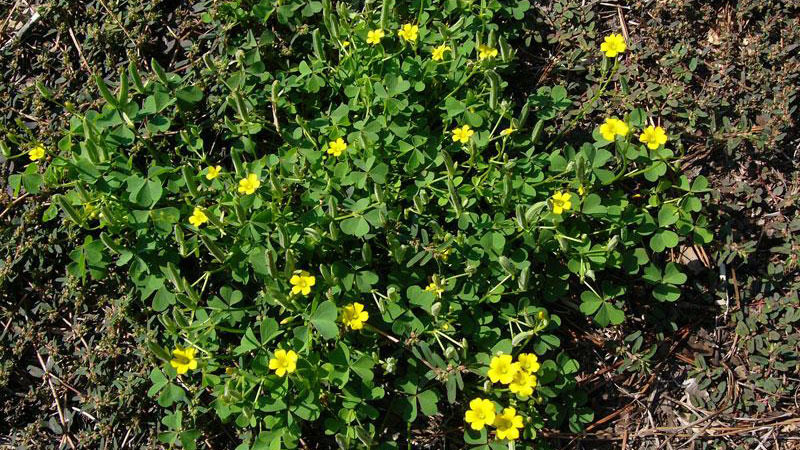 Flowers are bright yellow, have five petals, and bloom in early spring (March to April). The fruit is a narrow capsule 1⁄2 to 1 inch long. The supporting stalk bends just below the capsule. Precaution and Remarks: Apply 2.5 to 3.25 pints per acre on warm season turf including bermudagrass species, zoysiagrass, bahiagrass, and buffalograss. Apply 3.25 to 4 pints per acre on cool season turf including species of bluegrass, ryegrass, fescue, and bentgrass (excluding greens and tees). 4 to 5 pints per acre needed to control corn speedwell and wild violet. Turf areas include residential, ornamental, institutional, and sod farms. Apply to grass seedlings after second mowing. Apply to sodded, sprigged, or plugged areas 3 to 4 weeks after operations. Treated areas may be reseeded 3 weeks after application. Precaution and Remarks: May be applied to residential and commercial lawns, golf courses (excluding greens and tees), parks, athletic fields, and sod farms. Use on turf that has been mowed at least 3 times or sprigs that have developed secondary root systems. Apply up to 75 pounds per acre of 0.03 G or 150 pounds per acre of 0.014 G to perennial ryegrass and tall fescue. Apply up to 150 pounds per acre of 0.03 G or 300 pounds per acre of 0.014 G to bentgrass, Kentucky bluegrass, and fine fescue. Apply up to 200 pounds per acre of 0.03 G or 450 pounds per acre of 0.014 G to bermudagrass, centipedegreass, zoysiagrass, and St. Augustinegrass. Do not apply to dormant centipedegrass. Reapply at 4 weeks if needed but do not exceed 300 pounds per acre of 0.03 G or 650 pounds per acre of 0.014 G per season. After treatment, wait 3 to 4 weeks to reseed. Figure 1. Yellow woodsorrel growth habit. Figure 2. 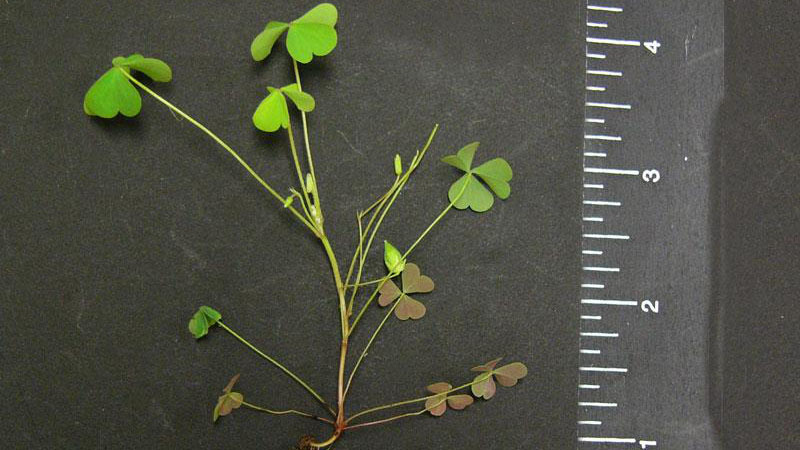 Yellow woodsorrel growth habit. Figure 3. Yellow woodsorrel growth habit. Figure 4. Yellow woodsorrel growth habit. Figure 5. 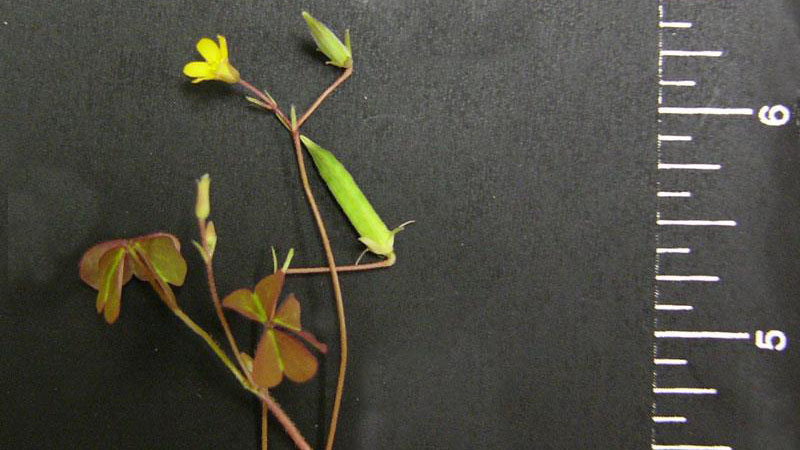 Yellow woodsorrel leaflet shape. Figure 6. 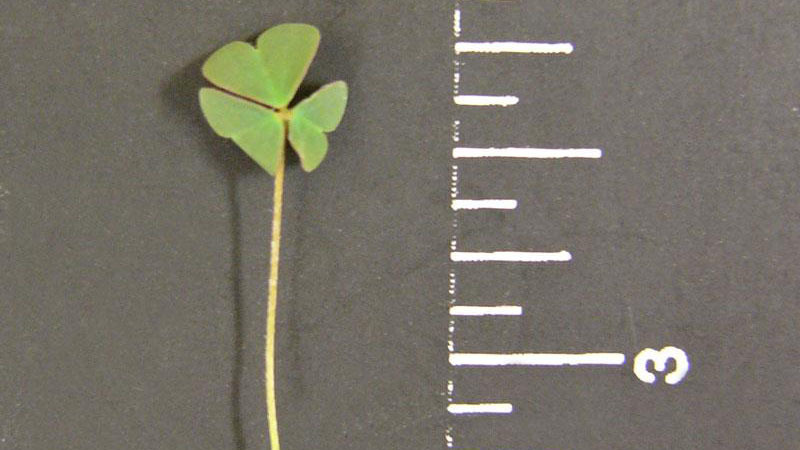 Yellow woodsorrel leaflet shape. Figure 7. 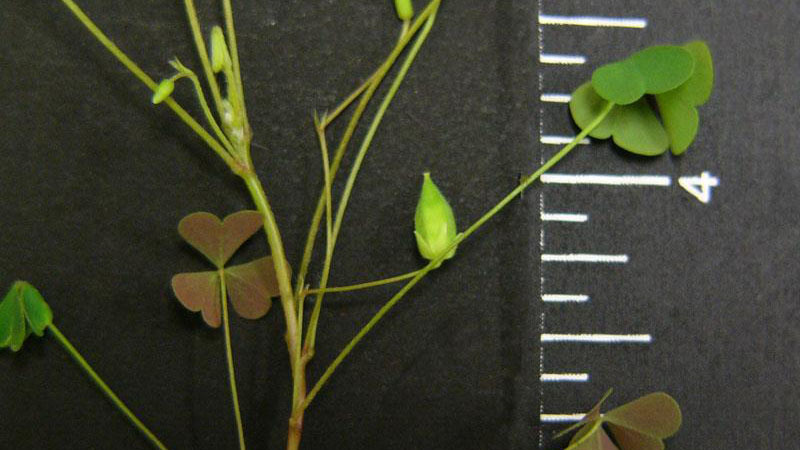 Yellow woodsorrel leaflet shape. Figure 8. 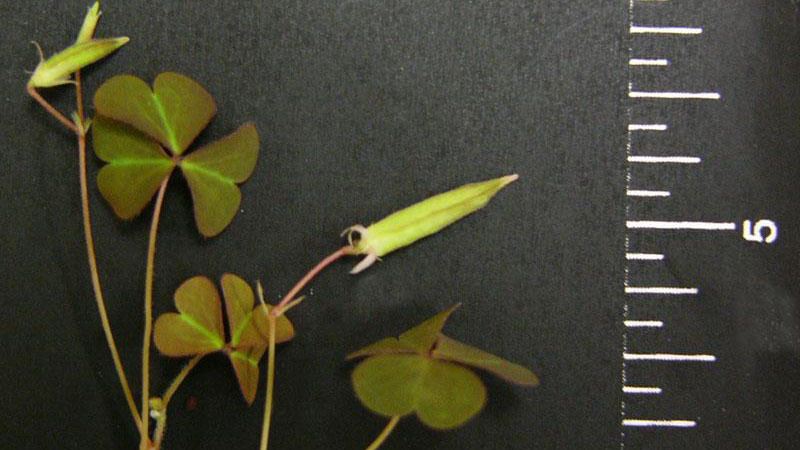 Yellow woodsorrel leaflet shape. Figure 9. 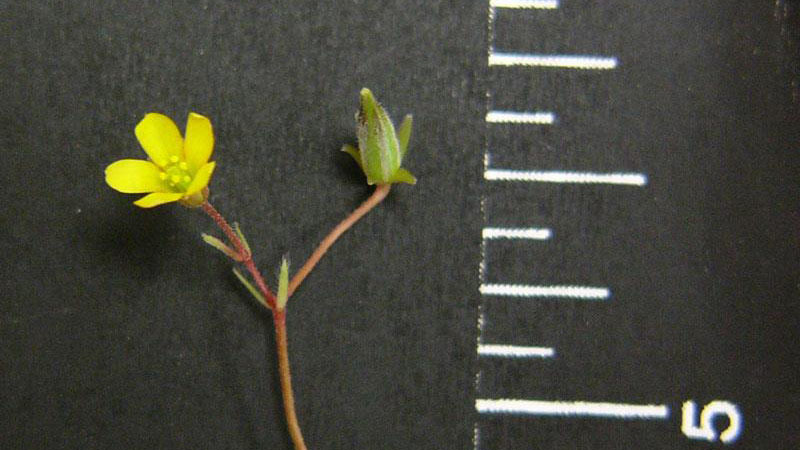 Yellow woodsorrel flower color. Figure 10. 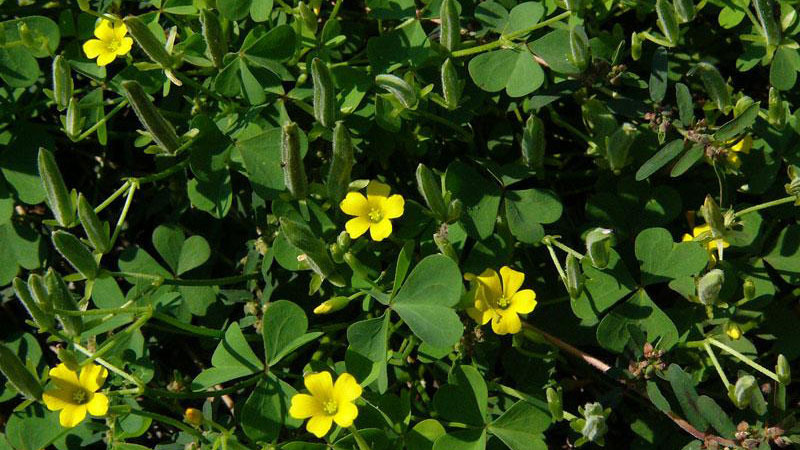 Yellow woodsorrel flower color. Figure 11. 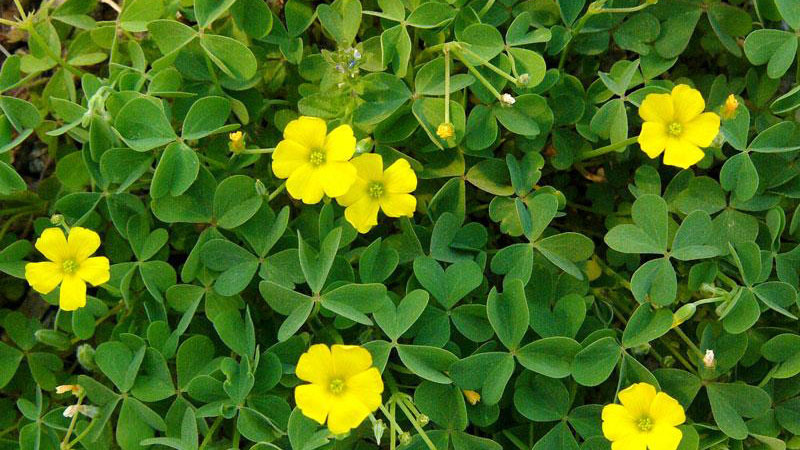 Yellow woodsorrel flower color. Figure 12. Yellow woodsorrel flower color. Figure 13. 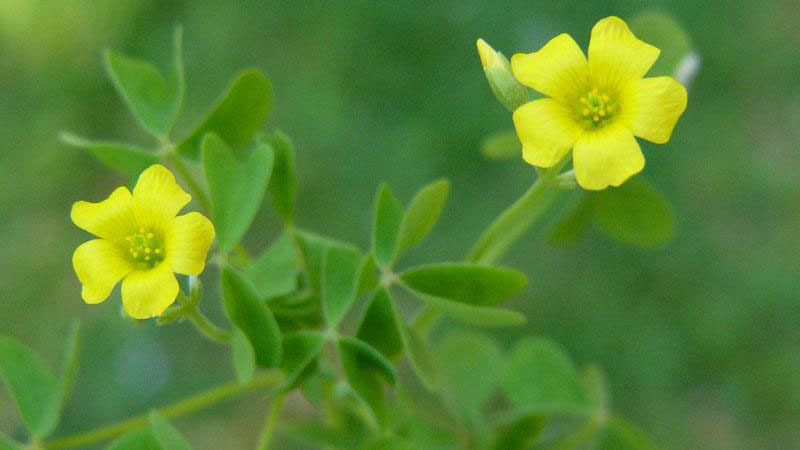 Yellow woodsorrel flower color.